Amanda Tibbels is a registered nurse and mid wife who runs baby massage classes in and around the Marlow area. She has been teaching baby massage for 18 years and currently works at the John Radcliffe hospital in between teaching baby massage. Her classes are currently held at the Marlow Clinic in Marlow, see below for more details. Her next class starts on 3rd September 2014 at the Marlow Clinic, First floor Crown House, Crown Road, SL7 2QG [see map]. The class runs from 1:45pm to 2:45pm. The type of massage taught: The International Association of Infant Massage (IAIM) course used in these sessions has been designed exclusively for babies and children. It uses a combination of Indian massage (to relieve tension), Reflexology (for wellbeing), Swedish massage (to calm and relax), and finally Baby Yoga (safe exercise). The classes are fun, strokes easy to learn, oils and handouts provided for the course. 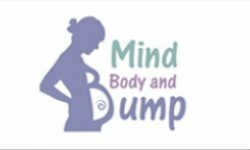 Group session and post-natal groups are welcome. When to start: although massage can be started from birth Amanda recommends starting after the 6 weeks check and before crawling. Amanda’s classes are brilliant and well worth the money. I started the massage classes just when my baby girl was experiencing colic/reflux and sleep was a long ago memory. Not only did I learn how to relax my baby, Amanda’s massage techniques helped with the colic a lot. Towards the end of the classes she talked us through bedtime routines and sleep – especially with massage as part of bedtimes. Massage is a really special time for me and my little one. Plus Amanda’s advise was fantastic and we now have a bedtime routine, my husband and I get evenings together and sleep (although broken) has arrived. Amanda is amazing!